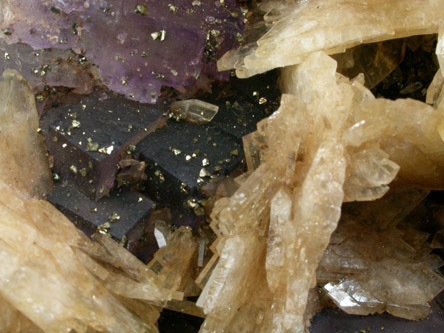 Description: Bladed yellow barite crystals up to 20 mm on purple-to-yellow fluorite with scattered pyrite microcrystals. 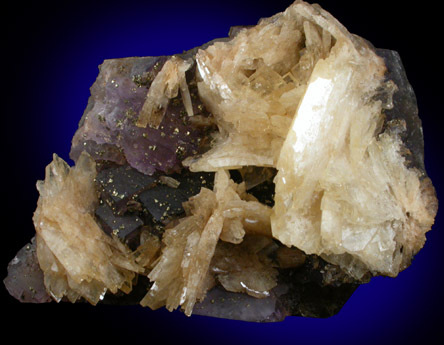 The fluorite is cleaved on the rear revealing yellow fur-like inclusions. 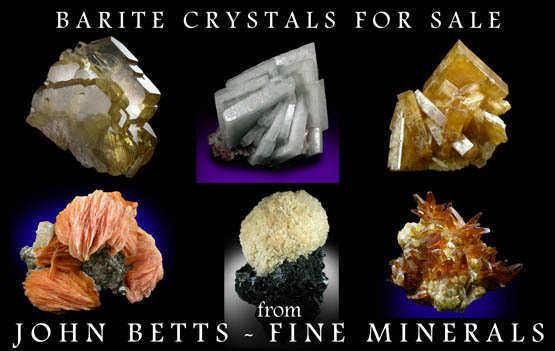 Two barite crystals are incomplete.